The Natural, Multidimensional Superfood Transforming Nutrition Today! Chlorella is a single-celled, fresh-water aquatic plant, named so after the Greek word chloros meaning “green”—because it contains large amounts of the green phytonutrient “chlorophyll.” Millions of people take chlorella every day (many in East Asia) for a perfectly good reason…because it is a highly effective superfood. Researchers who’ve studied chlorella extensively say it’s nature’s “Perfect Food” (in fact, NASA studied it as a food for astronauts). Chlorella provides a broad spectrum of nutrients, including protein, essential fats, fiber, chlorphyll, vitamins, minerals, trace minerals, etc. In addition, it provides the highest levels of dietary nucleic acids among all foods. Dietary nucleic acids (e.g., RNA) are now recognized as powerful, natural substances that provide supernutrition, rejuvenate, heal, and help create optimum health. Chlorella makes you look and feel younger. Studies confirm what people taking chlorella have long experienced—the anti-aging effects of dietary nucleic acids on skin, eyes, hair, hands, and other visible parts of the body. Skin becomes smoother, tighter, and clearer. Deep lines, wrinkles, and “crow’s feet” are often reduced. Even conditions as varied as acne and foot calluses often clear up or simply disappear as skin becomes softer and healthier. Hair color may return and its texture may become richer and thicker. These changes are more than skin deep…they reflect inner changes created by the power of nucleic acids…for total health—both inside and outside. It’s often said, “seeing is believing.” And you will “believe” when you see chlorella’s effects for yourself! You’ll have smoother skin, sparkling eyes, and a healthy glow. According to pioneer nucleic-acid researcher Dr. Benjamin S. Frank on page 34 in Dr. Frank’s No-Aging Diet: Eat and Grow Younger, you can look and feel 5, 10, or even 15 years younger! It’s entirely possible. Actually, it’s quite likely. Dr. Frank achieved similar results with his patients using dietary nucleic acids (from fish and yeast sources). In fact, the anti-aging effects were so evident, he matter-of-factly wrote: “It shows on your face.” That’s an understatement! It’s just that he’d seen it happen so routinely…with almost all his patients. Of course, he shows great enthusiasm for these results. But on page 6, Dr. Frank emphasizes that such changes in appearance aren’t just “skin-deep” and in fact, aren’t even “cosmetic” at all (from a medical standpoint)…but stem from actual, deep-down improvements in health. After years of experience with thousands of patients, Dr. Frank concluded that dietary nucleic acids could “…revolutionize the appearance of most Americans, because most…are in poor health…aging faster than necessary” (page 34 in Dr. Frank’s No-Aging Diet). Dr. Frank was exactly right. And because chlorella is such a fantastic source of nucleic acids, you can expect results—rapidly. The benefits then add up over time—keeping you looking and feeling younger—far longer. In my own experience, I can tell you how amazed I felt when I first saw myself “growing younger” after consuming chlorella for about 3 weeks. Even more incredible—my rejuvenation has never stopped—my skin keeps getting smoother, my hair thicker…and of course, it’s nice having a lot more energy! Few people now guess my age…and they’re usually shocked when they find out! That’s why I’m compelled to share my knowledge about chlorella with you—so you can benefit, too! You see, a powerful connection exists between our inner health and outer appearance. When we finally meet our body’s needs for real nutrition and for energy to carry out its tasks…our body rewards us with glowing health. Chlorella works hard..to make you look good…in fact, your very best. It’s that simple. • Heart Health. Chlorella’s nucleic acids help rejuvenate your entire body, including your heart. Chlorella also contains essential fatty acids (i.e., “good” fats), including omega-3 (alpha-linolenic acid). These fatty acids combine with chlorella’s proven ability to lower cholesterol, as well as the rejuvenating and energizing effects of nucleic acids…to support excellent cardiovascular health. In addition, the strengthening and anti-inflammatory actions of polysaccharides, and chlorella’s ability to remove toxic heavy metals play significant roles in reducing the hardness of vessel walls, thereby improving their resiliency and elasticity. • Breathe Easier. Nucleic acids vastly improve cellular oxygenation and oxygen utilization in the body—enabling far more efficient use of oxygen, including the ability to function better with less! A truly remarkable benefit to anyone who wants optimal breathing capacity, living in polluted environments or at high altitudes, and for aerobic exercise of any kind. Studies show nucleic acids dramatically boost exercise performance…via increased breathing capacity, greater stamina, and ability to perform physical tasks faster…and longer! You’ll be less “winded” while walking, running, hiking, swimming, climbing, kayaking, playing tennis, yoga, etc. Even if you’re already in great shape (whether you’re a weekend warrior or an Olympic athlete), you’ll still see noticeable differences, as you’ll gain greater endurance and reserve capacity…to go further with far less “huffing” or “puffing”! • Mental Sharpness. The nucleic acids in chlorella greatly improve oxygen utilization…which greatly improves your mental performance. 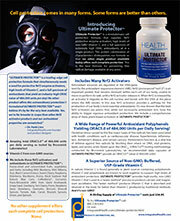 Removal of toxic metals (lead, mercury, arsenic, cadmium) also plays a role in increasing mental acuity. • Blood Sugar Stabilization. Chlorella helps stabilize blood sugar levels by supporting and balancing the liver and pancreas. When these organs do their jobs effectively, blood sugar levels naturally become better balanced. In addition, chlorella reduces cravings for carbohydrates and sweets. • Osteoarthritis. Chlorella’s nucleic acids can play a unique supporting role in reducing inflammation and regenerating connective tissues. • Liver Support. Chlorella rejuvenates and cleanses the liver (and other detoxification organs). Nucleic acids directly stimulate cellular repair in liver tissue while improved elimination functions reduce cholesterol and fats in the bloodstream…helping your liver be more efficient, and keeping you healthier! • Intestinal Health. Supports growth of healthy intestinal flora (“friendly” bacteria) in the digestive tract, aids bowel elimination, and more! • Alkalinizing Effects. Chlorella brings balance to body pH by creating alkaline conditions — counteracting the effects of acid-forming foods and substances…and creating greater health! • Supercharged Health. Chlorella supports the functioning of the entire body. Consequently, you can expect many more benefits than I can possibly list here. Strengthening the entire body has a way of preventing, lessening, or reversing many health problems…improving overall health! • Feel Great. Chlorella’s benefits act synergistically. When all body systems repair and heal…they work better together. Health is more than the absence of disease…when all parts function optimally — in a natural, healthy way — you’ll simply feel great! Nature has blessed us with chlorella…a superfood with countless health benefits…a true superfood for the 21st century! The philosopher Hippocrates lived in ancient Greece, but his exhortation “Let Food Be Your Medicine” has always rung true. Yet individuals and society haven’t always embraced this truth. Our modern world consequently suffers high rates of degenerative diseases like cardiovascular disease, high blood pressure, diabetes, etc., and excessive health care expenses…an unhappy combination…with no end in sight. Or is there?! It’s a fact…ever lower levels of nutrition offered by the so-called “Standard American Diet” (“SAD”) have been implicated in the rise of degenerative diseases and other conditions of poor health. Ironically, we live in a time of great abundance…and great malnutrition. A time when food quantity exceeds food quality…when conditions as diverse as obesity, blood sugar imbalances, chronic fatigue, etc., grow ever more commonplace. What’s wrong with this picture? If you look at the major decline of nutritional value in modern foods (due to processing and refining, toxic additives, soil degradation, agricultural chemicals, etc. )…in addition to the nutrient-depletion in our own bodies related to factors like high-speed/high stress lifestyles, poor food choices, and lack of education about real nutrition…it’s little wonder anything as amazing as chlorella goes overlooked…because we’ve overlooked Hippocrates’ timeless message. Isn’t it time for real change…and for healthier ways of living?! Indeed, times are changing. Many people, like you, want nutrition facts about healing foods and want “supernutrition” provided by whole foods. And chlorella is here to stay for good because it’s so naturally good. Think of it as “naturally powerful nutrition”! Nucleic Acids, including RNA, DNA, & Nucleic Acid Derivatives — a “fountain of youth” providing energy for your cells. Chlorella Growth Factor (GGF) — incredibly health-building Nucleotide-Peptide Complex…boosts immunity and speeds healing. Essential Fatty Acids (omega-3 and omega-6 EFAs) — an excellent source of heart-healthy omega-3 alpha-linolenic acid. Richest Source of Chlorophyll of any plant. 4% to 7% or more…10 times more chlorophyll than alfalfa. Chlorophyll is an amazing healing phytonutrient that powerfully heals, purifies, cleanses, and detoxifies. Antioxidants, Enzymes, and Phytonutrients, including naturally-occurring Beta-Carotene and Lutein…for enhancing your health. Vitamins, including Vitamins A, C, D, E, and K1; all major B vitamins, plus Vitamin B-12…for incredibly complete nutrition. Minerals and Trace Elements, including iron, calcium, potassium, phosphorus, magnesium, iodine, zinc, manganese…and more! Chlorella provides minerals and trace elements essential for all biochemical processes in your body. 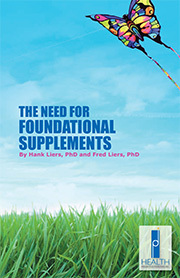 Polysaccharides — protecting your vascular system, strengthening connective tissues, and building immunity (by stimulating interferon production), and more. Fiber (11% insoluble) — promoting heart health, detoxification, easier elimination, and appetite control. These beneficial nutrients work together to help you build super health. And these are just some of the benefits chlorella offers you. But as amazing as these “Nutrition Facts” are…you may be wondering how chlorella provides so many astonishing healing powers. Let me tell you a little more about chlorella’s benefits. Chlorella contains many valuable nutrients, all contributing to its stellar nutritional benefits. However, one group of nutrients stands out as truly exceptional—chlorella’s extremely high nucleic acid content. In particular, this means RNA and DNA (acronyms for “Ribonucleic Acid” and “Deoxyribonucleic Acid”). These nucleic acids are involved in many bodily processes, especially energy production and communication within cells (i.e., they enable cells to use energy effectively for greater health). In the cell nucleus, RNA carries out instructions coded in DNA—instructions containing information critical for cell structure and function—which are essential for the very lives of our cells…and thereby for our lives, and our quality of life! When our cells receive proper directions and energy to carry them out…they keep us youthful. Chlorella’s nucleic acids provide us basic materials for repairing and replacing our RNA and DNA…giving us greater energy, vitality, and longevity. I’m getting a bit technical here…but I’m powerfully convinced you’d like to know more about how this amazing plant works to make you healthy. You see, our bodies make nucleic acids naturally, but with increasing age we gradually lose our capacity for synthesizing them, i.e. it’s harder to make them ourselves. This is where nucleic acids from foods make a huge difference for your health. Pioneer RNA researcher Dr. Benjamin S. Frank discovered that dietary nucleic acids not only improve health, but also slow down and even reverse the aging process. Many decades of research led him to conclude that nucleic acids are more than just good for you…they’re actually “essential nutrients.” In particular, he describes RNA as “the anti-aging factor.” Dr. Frank’s research laid the foundation for understanding the effects of all high-nucleic acid foods, including chlorella. In his books, Dr. Frank predicts nucleic acids will be the “medicine” of the future, but says that everyone can benefit right now — by eating high-nucleic acid foods. In fact, his best-seller Dr. Frank’s No-Aging Diet is a guide for helping people learn about high-nucleic acid foods…so they can eat for super health. But he’s hardly alone in his enthusiasm for nucleic acids from foods. Dr. Frank has plenty of company in his praise for dietary nucleic acids. In a classic, groundbreaking book titled Chlorella, Jewel of the Far East, natural healer Dr. Bernard Jensen focuses on the health benefits of chlorella and its nucleic acids. Jensen states on page 83, “Eating foods high in nucleic acids provide the material for the repair and production of human nucleic acids…the breakdown of DNA and RNA in the cells [is]…one of the main factors in aging and in degenerative diseases.” Dr. Jensen famously spent his life traveling around the world searching for secrets of health and longevity…and he was very impressed by the “mind blowing” effects of dietary nucleic acids on human health, especially the effects of chlorella. The Bottom Line: Knowledge gained but never used is…well, not very useful. Nutrition science already tells us what foods contain high levels of nucleic acids—foods like fish, organ meats, beans, brewer’s yeast, and most of all…chlorella. Certainly, foods aren’t advertised or sold in stores based on high nucleic acid levels (yet)…and in fact, most nutritionists simply don’t know anything about dietary nucleic acids (and most nutrition schools don’t teach them). But since nothing can prevent you from consuming high-nucleic acid foods right now, as Drs. Frank and Jensen suggest, then maybe it’s time you added high-nucleic acid foods to your diet…foods like chlorella. And most incredible of all, chlorella contains higher levels of RNA than any other food—up to 10 times more than the next-highest RNA-containing food (i.e., sardines). This makes chlorella the #1 “High-RNA” food source. That is, the greatest source of RNA and other dietary nucleic acids anywhere! Chlorella’s nucleic acids help you become healthier. Studies prove the remarkable powers of nucleic acids to heal, rejuvenate, rebuild, restore, improve quality of life, and even prolong life. Nucleic acids are proven to increase energy levels and cellular oxygenation…to boost physical stamina and lung power, and augment overall health and well being. They also smooth skin, reduce wrinkles, increase lean muscle mass, lower cholesterol, support cardiovascular health, aid metabolism, stabilize blood sugar, and even help regulate body temperature (for example, they can increase body warmth for greater comfort in cold climates). That’s just for starters…indeed, the benefits get better and better. So now ask yourself…are you ready for super health from the miracle superfood chlorella? One essential fact you need to know about chlorella’s nucleic acids is that they dramatically increase energy. Nucleic acids boost energy levels in the body by significantly increasing production of the “high-energy” molecule ATP (adenosine triphosphate), and thereby retard the aging process. Our bodies use the energy from ATP in many ways…for repairing, healing, metabolism, digestion, building a strong immune system, and other processes. This means chlorella is a total body healing food…a complete systemic healer that rejuvenates deeply from the cellular level on up, and from the inside out. Our bodies know exactly how to use dietary nucleic acids to make energy to satisfy our needs. In this sense, RNA acts as a “smart nutrient” providing energy wherever we need it most—indeed, functioning as an “adaptogen.” Precisely because nucleic acids can supercharge metabolism and slow aging…many scientists consider chlorella the greatest miracle superfood in the world. Are you ready to enjoy chlorella’s benefits…of greater health, vitality, and longevity?! If so, read on…because chlorella may be the most important discovery you’ll ever make…for your own health. “Chlorella Growth Factor” for Rejuvenation! Chlorella offers more than an incredibly high nucleic acid content. The 5% nucleic-acid rich fraction of chlorella contains a substance known as “Chlorella Growth Factor” or “CGF.” First isolated by Japanese scientists in the mid-1950s, Chlorella Growth Factor (CGF) is a “nucleotide-peptide complex” containing nucleic acids and nucleic-acid derivatives, like amino acids, peptides, nucleotides, nucleosides, polysaccharides, beta-glucans, and other beneficial substances. Most importantly…it’s all-natural, safe, and demonstrates truly amazing healing powers. Chlorella Growth Factor (CGF) is best known for having powerful growth stimulating properties—so much that it’s used to boost growth in children with growth disorders. In doesn’t boost growth in adults though, but instead enhances immune system response, repairs nerve tissues (e.g., especially helpful for brain and nerve disorders), and works powerfully to speed healing. Also, the body uses this growth factor to produce energy in support of metabolic processes and to revitalize cellular functioning. In addition, because CGF is a highly concentrated source of nucleic acids (RNA and DNA)…its constituents components act synergistically to provide you with maximal nutrition…for optimal health. CGF offers truly incredible health benefits—like immune enhancement, rapid healing, regeneration, and rejuvenation—found nowhere else! Chlorella’s “Growth Factor” is just another reason why chlorella is known as the “most complete superfood” on the planet. Chlorella’s energizing and healing powers are truly awesome…its nucleic acids and Chlorella Growth Factor (CGF) create powerful health. Yet chlorella also contains vast quantities of chlorophyll, the green phytonutrient found in all plants. As a superfood that gets its very name from chlorophyll…chlorella’s chlorophyll content is sky-high—an amazing 4% to 7%, or more. That’s the highest chlorophyll content of any plant on earth. And chlorophyll itself is an amazing healing substance. • Detoxifies, deodorizes, cleanses, and purifies. Chlorophyll is nature’s greatest purifier. • Removes pesticides, polychlorinated biphenyls (PCBs), dioxins, and industrial chemicals—draws these toxins out of cells, too! Chlorophyll packs an extremely powerful healing punch. For this reason, people go to great lengths to get it, taking everything from parsley extracts to wheatgrass juice. But raw chlorella contains far more chlorophyll than these sources and provides all the other health-building elements found in chlorella—a winning combination for super health. We offer premium-quality chlorella…so you can supercharge your health today. Our chlorella is the best available. And you’ll definitely get results—we guarantee it. And our chlorella has unique benefits we’d like to share. Good nutrition and good taste go together. But not all chlorella is created equal—either in quality or taste. There are different species and different growing methods. We offer genuine Chlorella pyrenoidosa. Unlike some chlorella, ours isn’t grown indoors or in sealed tanks, but carefully cultivated in open-air, fresh-water growing ponds using mountain water. It receives steady exposure to sunlight during all stages of its growth. As a result, it develops a deep, rich green color, a slight fragrance, and a mild taste—a taste that’s as delicious as it is nutritious! In fact, it’s the best-tasting chlorella you’ll find anywhere! Our premium chlorella powder is an ideal food—possibly the perfect food. It’s amazingly easy to digest because it’s a single-celled plant (about 3-5 microns in diameter—about the same size as our own blood cells). Our chlorella is lightly processed to break its cell walls—while fully preserving its nutritional value—making it even easier to digest! This is a critical benefit, because it means extremely rapid assimilation and ready availability to meet your body’s immediate needs. Plus, unlike tablets, there are no binders that must be broken down for assimilation. And, unlike capsules, there are absolutely no animal by-products involved. Our chlorella’s easy digestibility means that anyone who needs instant nutrition—from athletes and travelers to parents on-the go, kids, the elderly, or anyone with a sensitive digestive system—can assimilate it easily! Our premium chlorella gives you nutrition rapidly…so you gain greater health and energy—right now! Our premium powdered chlorella costs far less than tablets or capsules. Because chlorella tablets and capsules cost more to manufacture, higher costs are passed on to consumers as higher prices. In fact, tablets or capsules can cost more than three times as much as our powdered chlorella. Why pay more for less? Our premium-quality chlorella gives you remarkable savings…and first-rate quality. Another advantage of our chlorella powder relates to intake levels. Achieving optimal health benefits requires consumption of at least 3 grams of chlorella per day. In fact, we recommend larger amounts (5 to 30 grams or more) because higher intake levels generally provide greater health benefits (see intake chart below). * You can achieve this higher intake level by taking 1 to 3 small scoops of our delicious powder, which mixes well with any food or drink. A similar dosage level using tablets can require 25-150 tablets daily. As we see it, the biggest advantage of our chlorella powder is not its relatively low cost (or its ease of use in achieving optimal dosage levels), but that it’s so easily consumed as a food. It complements many other foods and is easy to use in your kitchen. Put it in water, teas, juices, smoothies, and blender drinks. Mix it in soups, salads, sandwiches, stir fries, and baked goods. It mixes readily, dissolves rapidly, and displays excellent cooking properties…no matter how you prepare it. Make it part of your daily diet. It’s simple and easy, and when you do, you’ll always get chlorella’s many health benefits as you consume it. It’s astounding how a single food offers so many different ways of creating health for you! It’s true. Nature created chlorella…as the ultimate superfood…for ultimate health. With its Nucleic Acids, Chlorella Growth Factor (CGF), Chlorophyll, Quality Protein, Vitamins, Minerals, Essential Fatty Acids (omega-3 and omega-6 EFAs), Antioxidants, Polysaccharides, Phytonutrients, and Fiber…Chlorella offers far more than can be found in any other single food on earth. Including myself, everyone I know who tries chlorella sees, feels, or experiences a big difference in terms of greater health—and greater happiness—knowing they’ve taken responsibility for their health into their own hands…and succeeded beyond what they imagined possible. We believe our premium chlorella is the most nutritious, best-tasting, cost-effective chlorella available anywhere. No other chlorella surpasses ours for economy, ease-of-use, taste, and health-giving benefits. We guarantee it! See for yourself how the benefits add up for greater energy, health, well-being, and higher quality of life…plus great savings! We guarantee your satisfaction. For fastest ordering, click on the “order” button above. Your order will be processed immediately. If you prefer, you may call 1-800-228-4265, or e-mail your order to support@integratedhealth.com. We accept credit cards, personal checks, and money orders. We look forward to serving you! P.S. Chorella will transform your nutrition! We guarantee it. Order online or call toll-free 1-800-228-4265 for fast, courteous service. P.P.S. See our RECIPES page for delicious chlorella recipes and serving ideas. Get started today!! • Upper limit: there is no upper limit, but introduce chlorella into your diet slowly. By increasing intake levels gradually, your body will adapt over a period of weeks, allowing you to consume larger amounts. * HPDI recommends starting chlorella at lower dosage levels (1–5 grams or less) and gradually increasing the amount over a period of weeks, depending on your needs. Many people find it easier adapting to higher intakes in successive stages. Mike Adams. Superfoods for Optimum Health: Chlorella and Spirulina. Benjamin S. Frank. Dr. Frank’s No-Aging Diet: Eat and Grow Younger. Bernard Jensen. Chlorella, Jewel of the Far East Bernard Jensen International. Nutrition. 3rd Ed. North Atlantic Books.